tres bonne decouverte dans cette maison typique thai dans un quartier tranquille de bangkok ..
Maison traditionnelle thai avec toutes les commodities proche. Quartier tranquil et street fodd de quality juste au bout de la rue. Tony est un hote tres acceuillant et dispinible pour ses hotes .. Une belle rencontre . Chambre climatisee et calme .. On reviendra merci tony pour ton acceuil..
A pleasure to host you both and you are definitely welcome back anytime. For Emma, keep on cookin'. The book is " Charmaine Solomons Complete Asian Cooking ". Hope you can find a copy. No idea why I am being asked to review a stay at our own home? We are hosts, not guests. See above question - as hosts, why are we being asked to review ourselves? However, obviously as hosts / owners we think the property and service we provide are great and fortunately this opinion is shared by the majority of our guests. Would be really good if a few more guests bothered to leave reviews though. Have some VRBO guests next month so hopefully they will leave a review in due course. 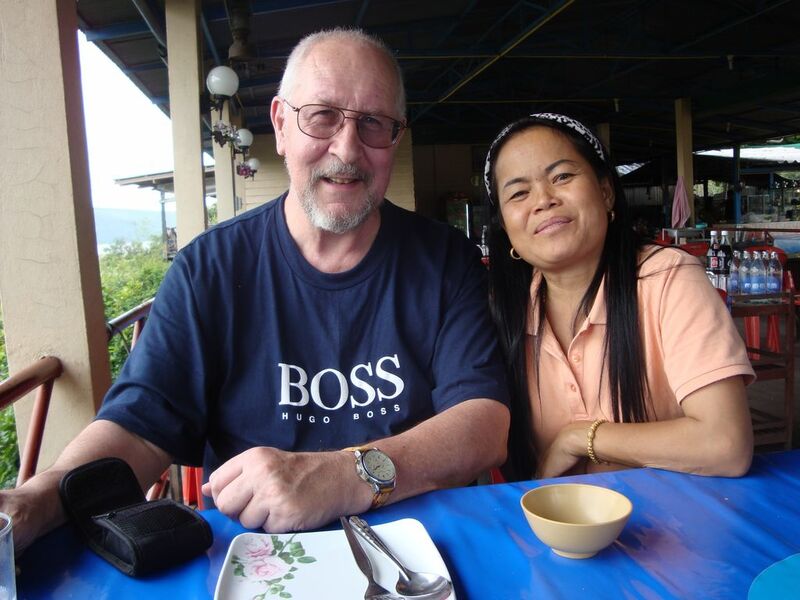 Also was soll ich sagen, wenn ihr nach Bangkok fliegt dann solltet ihr auf jeden Fall bei Tony und seiner Frau haltmachen.Tony ist Australier und lebt seit 10 Jahren in Bangkok.Er wird euch in einem orangenen Minions T-Shirt am Flughafen abholen und euch tagsüber an Orte führen die sonst kein Tourist so einfach zu sehen bekommt.Ausserdem ist allein Tony schon eine Reise wert.Ein super entspannter und humorvoller Mensch der euch die kleinen Unterschiede in Thailand näher bringt und dabei immer einen lockeren Spruch auf den Lippen hat.Das Haus der beiden liegt fernab der touristischen Gegenden von Bangkok in einem traditionellen thailändischen Viertel mit Suppenküchen an jeder Ecke , frischem Obst und Gemüse und unglaublichen leckeren thailändischen, wie er es nennt , Donuts. Das Haus der beiden ist wie oben bereits erwähnt traditionell thailändisch, also erwarte keinen Luxus.Aber alleine Tony und seine Stadtführungen waren jeden Euro wert.Wir werden in 2 Wochen nochmal bei ihm reinschauen kurz bevor wir fahren. Wir können nur jedem, der das traditionelle Bangkok kennenlernen will bei Tony einzukehren.Es war toll. It was great fun to host the 3 of you and we look forward to seeing you again on your return to the "Big Mango"
I have already posted my review of you guys on the site (❤️❤️❤️❤️❤️ naturally) and hope you had a great time down South in the sea and sun. Tony and Bor were gracious hospitable hosts. But guest bathroom is less than desirable for use. True to form, Tony was a friendly and outgoing host in brewing the am coffee, giving any helpful area tours....This ,in of itself, would merit a max rating. On the other hand, while the br was sat, the condition of the guest ba is less than hygienic and its downstairs location makes frequent use at night problematic and potentially unsafe for some people. Recommend the guest ba plumbing and ventilation be fixed before rental. A better solution is to rent out instead the master br/ba if not deficient. This by itself would solve the bathroom issues. Thanks for the personal reference much appreciated by both Bor and myself. The guest bathroom is as clean as we can make it and was totally cleaned, scrubbed and mopped the day before your arrival. Our site does clearly state a typical Thai house and the layout is exactly that, bedrooms upstairs and bathroom downstairs. Structurally it is impossible to ventilate without massive destruction to the house. We informed you on arrival that we had a problem with the drain from the hand basin and were working to clear it. While we are fortunate to have an on suite in the master bedroom (allowing us to allocate the other bathroom totally for guests use) it is ludicrous to suggest that we move out while we are hosting. We are, as stated, a home stay and offer our home and services on that basis. Sorry we failed to meet your requirements in that area.